Cameron University is a four-year, state-funded university located in Lawton, Oklahoma, that offers more than 50 degrees through two-year, four-year, and graduate programs. The degree programs emphasize the liberal arts, science and technology, and graduate and professional studies. 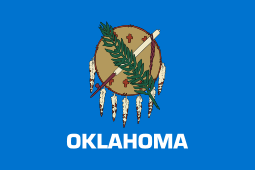 The Oklahoma Legislature created six agricultural high schools in each judicial district just a year after statehood in 1908. Lawton was chosen to receive a high school over Anadarko in April 1909, due to their having already set aside a portion of land for a higher educational institution. The University Improvement Association, under the auspices of the Lawton Chamber of Commerce, organized the effort to acquire 220 acres (89 ha) of land two miles (three kilometers) west of the town. Its original goal was to secure a private Baptist college. Arrangements with the Baptists fell through in the summer of 1908. The Catholic Church approached the Association with an offer to form an all-male institution on the site. This plan was not acceptable to the town leaders. Cameron State School of Agriculture was named for the Rev. E. D. Cameron, a Baptist minister and Oklahoma’s first State Superintendent of Schools. The first classes were held on Statehood Day, November 16, 1909, in the basement of a bank building, while a new campus building was constructed. Cameron added junior college work in 1927 when local higher education needs exceeded what was available in Southwest Oklahoma. With this changed function came a new name: Cameron State Agricultural College. High school courses were dropped and Cameron became solely a junior college in 1941 when the Oklahoma State System of Higher Education was formed and joined the group of institutions governed by the Board of Regents of Oklahoma A&M Colleges. Baccalaureate degrees were authorized in 1966 by the Oklahoma State Regents for Higher Education, following action by the Legislature. The institution’s name was shortened to Cameron College in 1971, then changed to Cameron University in 1974. As the 1970s continued, Cameron demonstrated its dedication to expanded academic offerings through the construction of a fine arts facility designed to serve students in theatre, music, broadcasting, and speech communication. Dr. Donald J. Owen served as Cameron's President from 1969-1980. A Cameron graduate himself, Owen worked to build academic programs and develop relationships with the Lawton community, as well as the Oklahoma State University system, under which CU fell during his tenure. Cameron's sports teams, particularly football and basketball, excelled during that time, and a new President's home was constructed on Gore Blvd west of the campus. In 1988, State Regents expanded Cameron's functions to include offerings at the master's degree level. This change in function was the first granted to an Oklahoma institution since Cameron was given the authority to offer bachelor's degrees more than 20 years earlier. In the 1990s, Cameron University came under the Board of Regents of the University of Oklahoma. Don Davis was President of Cameron University from 1980 to 2002. His father, Clarence L. Davis, was President of Cameron from 1957-1960. As a child, Davis lived in the President's house on campus with his mother, father, and sister. Where this house once stood now stands a state-of-the-art science center. As a former legislator from Lawton, Davis was able to secure funding for Cameron that allowed it to grow into the premier institute for higher education in southwestern Oklahoma. Also during Davis' tenure, a classical radio station, KCCU 89.3, was founded. Numerous renowned scholars, including Richard Leakey, Cornel West, have spoken at Cameron's annual Academic Festival. In May 2004, Cameron took over the Duncan Higher Education Center in Duncan, Oklahoma, and renamed it Cameron University - Duncan. In June 2005, the State Regents approved the first Master of Science in Entrepreneurial Studies in the state and the first graduate certificate program in the state. The Entrepreneurial Studies program was rated by Entrepreneur Magazine as one of the top 10 limited-curriculum programs in the nation. In 2006, the Master of Science in Entrepreneurial Studies program was the first runner-up behind the University of North Carolina - Chapel Hill for the model graduate program in entrepreneurship by the U.S. Association for Small Business and Entrepreneurship. In 2008, the program was named the model graduate program in entrepreneurship with the Small Business Institute international program. At the core of the program is the SBI model and the academic research process. The program is headed by Dr. Shawn M. Carraher [Endowed Chair, Professor of Business (Management & Global Entrepreneurship) Native American, and Director of the academic portions of the Center for Emerging Technology and Entrepreneurial Studies], whose research focuses on international strategic issues in entrepreneurial healthcare and hospitality organizations. Over 300 student-outreach projects have been completed and over 100 academic presentations were coauthored by students. Most courses are offered weekdays and evenings. Cameron uses television, the internet, and a statewide fiber-optics network to deliver classes around the world. Students may participate in independent study, cooperative education, preprofessional studies, teacher certification, and the Army ROTC program. In addition, Cameron offers an honors program, early admission, advanced standing, and college-level examination programs, although 58% of entering students require remedial work with median ACT scores at the ninth percentile. A wide range of organizations and interest groups are located on campus, including departmental, minority, professional, political, and religious organizations, and various honorary and recognition societies. Students can also become involved in student government, choral groups, a jazz ensemble, theater, or Greek life. Intercollegiate sports play an important role in Cameron’s campus life. University men play basketball coached by Nathan Gamet, baseball coached by Brady Huston, golf coached by Jerry Hrnciar, cross country coached by Zach Johnson, and tennis coached by James Helvey, while Cameron women participate in basketball coached by Tom Webb, softball coached by Rodney Delong, volleyball coached by Qi Wang, and golf coached by Rick Goodwin. The athletic department is run by Jim Jackson, the Athletic Director, and Kim Vinson, the Associate Athletic Director. Sports information is run by Don Vieth, the Sports Information Director. Cameron competes in the Lone Star Conference of the NCAA’s Division II. In the 1970s, as an NAIA Division I basketball program, the Aggies won three District IX Championships, as well as the 1980 NAIA men's basketball championship. This was the first national championship for Cameron athletics. In 1987, Cameron defeated Carson-Newman (Tenn.) 30-2 to win the NAIA Division I Football National Championship. Cameron had previously won a national championship as a junior college, as well, but the university discontinued football on December 11, 1992, to balance the number of sports offered to men and women, respectively. Jerry Hrnciar has been the head coach of the men's golf program since 1975, and his teams have appeared in the NAIA National Championship Tournament in 1977, 1978, 1982, 1983 (National Champion), 1984, 1985, 1986, and 1987. After Cameron University made the switch to NCAA Division II, Hrnciar's teams have qualified in 1990, 1991, 1994, 1996, 1998, 2001, 2002, 2006, 2007, 2010, and 2011. After two years of the three-year campaign, over $9 million had been raised. Billy Paultz – Played 15 season in the ABA and the NBA. Made 3 ABA All-Star teams, leading the league in blocked shots in 1975-76. Won an ABA championship with the New York Nets in 1973-74. Since its founding in 1908, Cameron University has had 17 presidents. 1 2 3 4 5 6 7 8 "General Information - Cameron University". Cameron.edu. 1992-06-01. Retrieved 2015-08-02. ↑ Archived March 30, 2013, at the Wayback Machine. ↑ Adrian Wiggins. "Adrian Wiggins Bio - The Fresno State Official Athletic Site Official Athletic Site". Gobulldogs.com. Retrieved 2015-08-02. ↑ "Adrian Wiggins Bio - OLEMISSSPORTS.COM - OLE MISS Official Athletic Site". Olemisssports.Com. Retrieved 2015-08-02. ↑ "Past Presidents - Cameron University". Cameron.edu. Retrieved 2015-08-02.